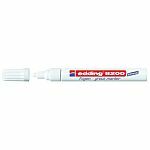 Marker Pens are a way of marking or writing in different colours and onto different surface types. Some of these pens are permanent, whereas others are easy to wipe. 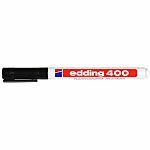 They can be used in a variety of different ways, whether it is to mark cables, tyres, paint, metal, freezer products, laundry, CDs or many other industry, workplace or household items. Some of these pens are waterproof, smudge-proof, fade resistant and quick drying. There are a variety of different tip sizes and tip shapes depending upon your requirements and in a range of different colours too.